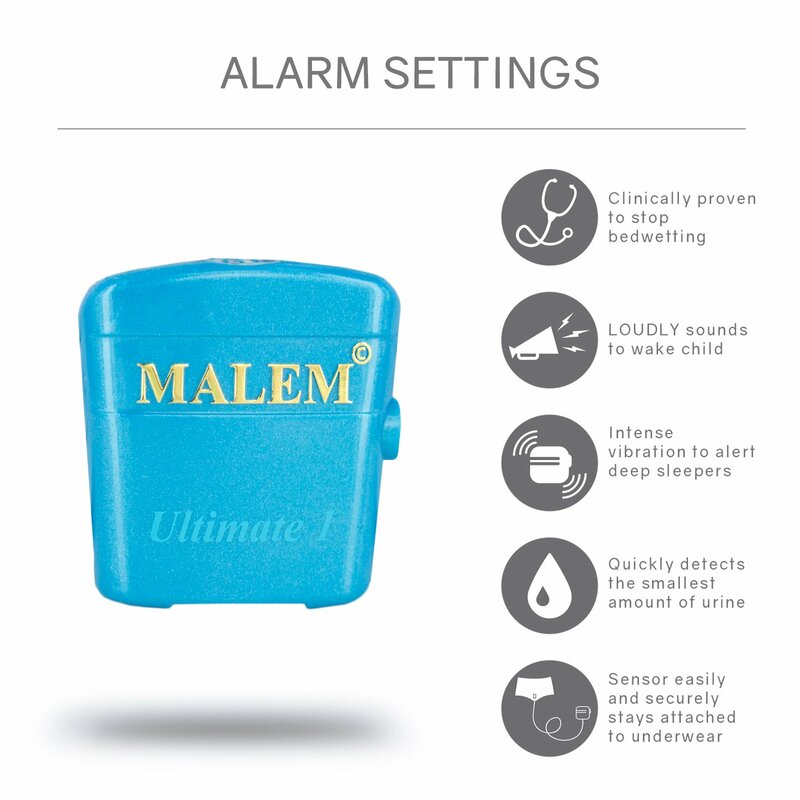 Nytone vs Malem… here’s another bedwetting alarm comparison. In this post, it’s between a clip-on and an armband-style alarm. Which one has better features? Find out in this comparison report. Let’s get started with this Nytone vs Malem comparison chart. In this section, we list down the main differences of these two bedwetting alarms. The first most important difference is how these alarms were designed. The Malem Ultimate is a 3-piece device that consists of a sensor, a transmitter, and a cord that connects these two parts. Both the sensor and the transmitter should be tucked or clipped on to a child’s clothes. The Nytone is also a 3-piece alarm. The difference is that the transmitter is worn like an armband. Based on the data we’ve gathered, the Nytone has 3 alert sounds to customize while the Malem Ultimate has a total of 10 sounds. This is Ultimate’s advantage over the Nytone because you don’t want your child to get used to certain alarm sounds so easily. The Nytone has a white exterior, but it can be customized with one of the kid-friendly stickers that come with your package. The Malem Ultimate has 3 colors available – pink, blue, and purple. Which of these bedwetting alarms has better features? When it comes to appearance, the Nytone is sleeker and more modern-looking than the Malem Ultimate. But when it comes to effectiveness and overall quality of the alarm, more parents prefer the Ultimate.